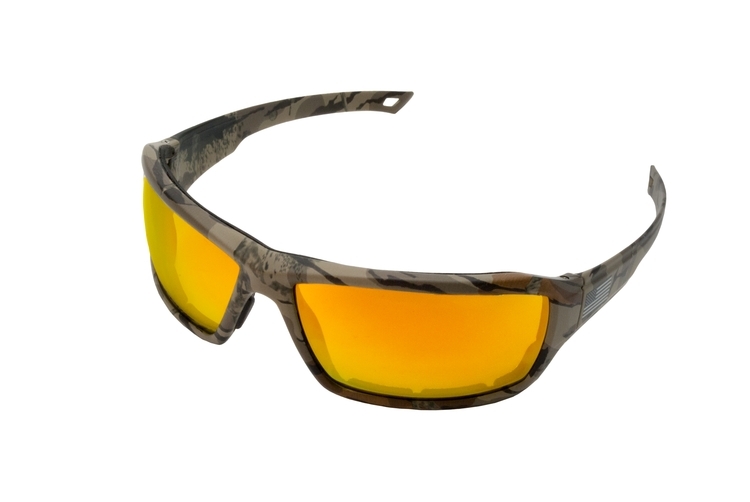 Camo pattern full frame with anti-fog and hard coated polycarbonate lenses. American flag on left temple. Imprint available on right temple. 8 base lens curve. Stainless steel hinge screws. 99% UV protection. Meets the requirements of ANSI Z87.1 - Impact. Perfect for jobsite, hunting, fishing, skiing and more.